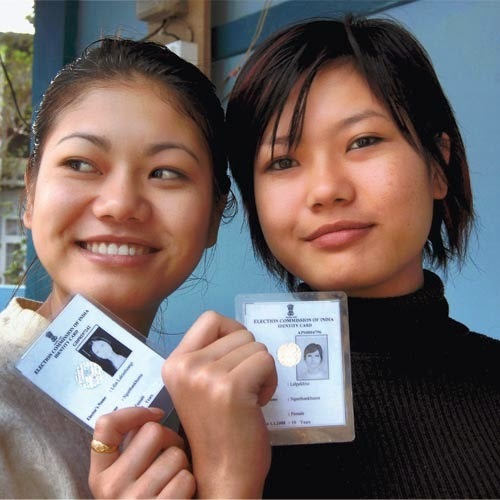 Aizawl, Feb 24 : In less than two months, Mizoram will face rural body polls that are unprecedented in several ways; the new bodies will have an extended term of five years while seats will be reserved for women for the first time in such elections. However, the more unusual thing is that the number of voters has decreased by a remarkable 10 percent. As the State Election Commission initiated a mass review of the electoral rolls for village council election and released new rolls this month, it was found that there are 10 percent lesser voters compared to the 2012 polls. “Earlier the Village Council seats were allotted based on the number of households in each village. The figures would be drawn up by Circle Assistants after consultation with the VCs. Apparently they would not only quote the higher number of households, but also make some young adults eligible voters without cross-checking their ages whenever villagers said they had reached 18,” said H Darzika, SEC secretary. The new VC rolls have been based on the latest electoral rolls of the Election Commission of India, which was updated on January 1, 2015. For example, in eastern Champhai town, one VC area with just 70-odd households was marked as having 200. In Aibawk, a village just 30 kms south of the state capital Aizawl, the old VC rolls had 1053 voters while the ECI rolls had just 950. In Kolasib town, in the north, the VC rolls had 3000 more voters than the ECI’s rolls.